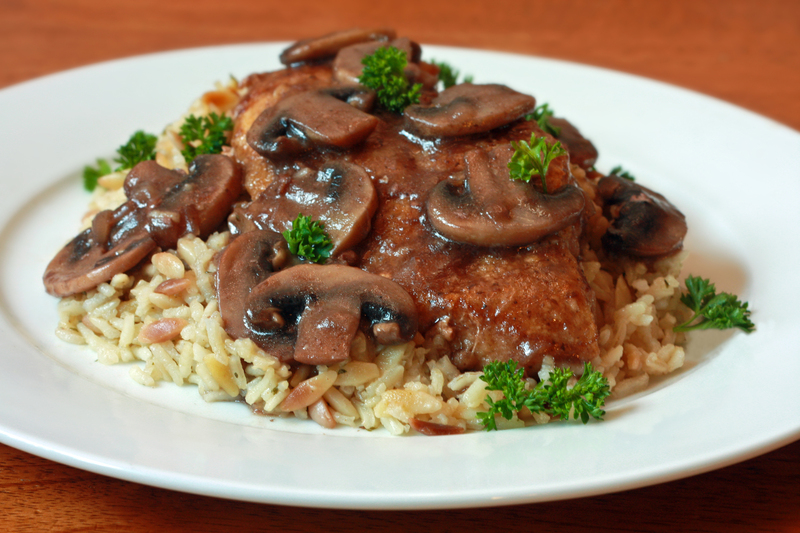 Several of my friends tell me that Chicken Marsala is one of their favorite things to order at restaurants. Now is your opportunity to make this scrumptious dish yourself, only even better than what you ordered out! Why better? For several reasons, but one of them is it has a secret ingredient that will drive your taste buds to culinary madness. I need to introduce you to my husband right from the get-go since he is a key player in my culinary adventures. Todd. That’s his name, Todd. There will be more biography in the future, but I’ll start with the most pertinent. Todd’s loves pretty much anything in the food realm. Well, there are exceptions, most of which many of you, though not all, would agree with (brain, tongue, kidneys – basically all internal organs). He loves the complex, he loves the simple. I can spend hours on a gourmet dish and he’ll love it. I can spend 10 minutes on a casserole…and he’ll love it. It’s exasperating in a way, but really, how can I complain? How ridiculous would I be to criticize my husband because he’s too easy to please? Exactly. So, while his easy-to-please-ness doesn’t exactly inspire me on to new and exciting culinary heights and challenges, I’m still grateful that I have such a gosh-darn, easy-to-please husband. So, let’s start with something that is right up his alley, shall we? 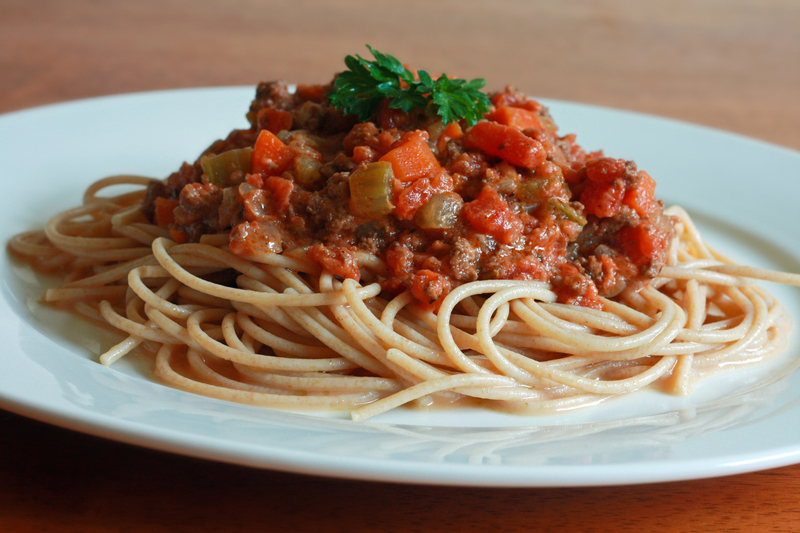 Scandalously delicious but deceptively simple. 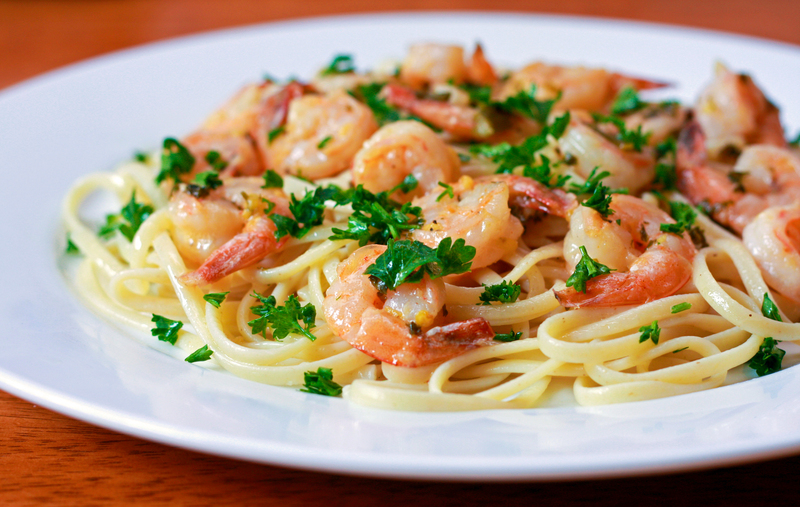 Lemon-Garlic Shrimp Scampi. Now what seafood lover doesn’t appreciate a good shrimp scampi? And I mean a really good shrimp scampi?